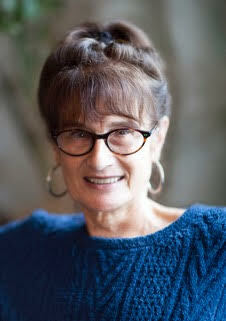 Joan Silber was raised in New Jersey and received her B.A. from Sarah Lawrence College, where she studied writing with Grace Paley. She moved to New York after college and has made it her home ever since. She holds an M.A. from New York University. She’s written eight books of fiction. Her first book, the novel Household Words won the PEN/Hemingway Award. Her other works of fiction are In the City, In My Other Life, Lucky Us, Ideas of Heaven, finalist for the National Book Award and the Story Prize, The Size of the World, finalist for the Los Angeles Times Prize in Fiction, and Fools, longlisted for the National Book Award and finalist for the PEN/Faulkner Award. Her novel, Improvement, won The National Book Critics Circle Award for Fiction and the PEN/Faulkner Award. She received the PEN/Malamud Award for Excellence in the Short Story. She’s also the author of The Art of Time in Fiction. She’s been the recipient of an Academy Award in Literature from the American Academy of Arts and Letters, a Guggenheim Fellowship, and grants from the National Endowment for the Arts and the New York Foundation for the Arts. Her short fiction has been chosen for the O. Henry Prize, Pushcart Prize, and Best American Short Stories. Stories have appeared in The New Yorker, The Paris Review, Ploughshares, Epoch, Agni, Tin House, The Southern Review, The Colorado Review, and other magazines. Joan teaches fiction writing at Sarah Lawrence College and in the Warren Wilson College MFA Program for Writers. She’s also taught at New York University, the University of Utah, Boston University, and the 92nd Street Y. Her summer teaching has included conferences at Napa Valley, Bread Loaf, Indiana University, Manhattanville College, Stonecoast, Aspen, and Sarah Lawrence College. Joan lives on the Lower East Side of Manhattan, with her dog, Lucille, and she travels as often as she can, with a particular interest in Asia.